You can consider yourself as a prosperous store owner with fancy website and dozens of first-class entities but at the same time nobody calls upon it. All this happens because e-merchants don’t pay enough attention to website’s SEO. Let’s find out why it is important to improve your store SEO and what it provides as a result. Why SEO is Important for an Online Store? Search engine optimization is one of the crucial factors that have to be kept in mind while creating an online store. 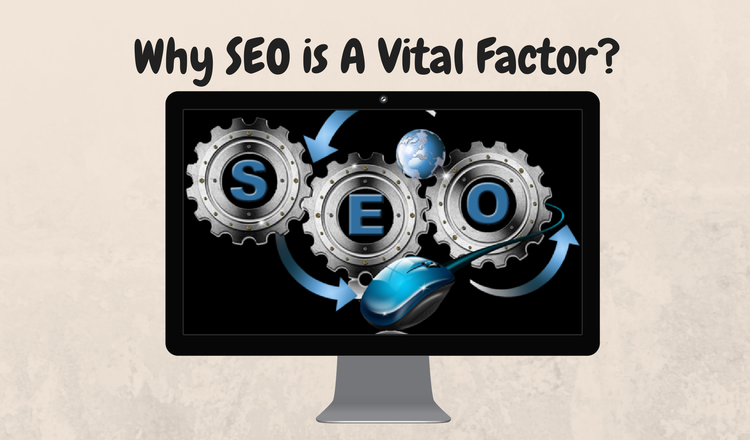 The first striking factor appears to be that it is used to increase semblance and traffic for your website. The traffic is going to be minimum or even zero and as a result amount of shoppers will be very low. Search engines won’t rank it and the site is going to be lost in the web. Your store will be visible for “spiders”. The amount of the customers is going to raise in days and at the same time the traffic flow will be increased. Your online store will fulfill the purpose for which it has been created. Now you probably have understood the importance of SEO for the webstore. But another thing worth pay attention to is: how to achieve those lucks? What Are the Ways To Improve Your SEO? Pay Per Click Advertising - is a branch of SEO strategy. The option is quite useful and it helps to expand profits from online business. With Promodo it’s easier to master PPC because it will provide a full assistance in monitoring your campaigns everyday. Also, the company provides you with its experts that are experienced in PPC and can select the best keywords for your text and announcements. Social Media Marketing - one of the greatest beneficial sides of e-Commerce is a possibility to attract customers even with the help of social networks like Facebook and Twitter. Again, Promodo can help you here. The company provides a creation of your business page in these social networks. So, what is positive about that? A full analyses of the page, including targeted audience analysis, competitor analysis, content analysis and others will be professionally provided by the team. Don’t hesitate and turn risks into profits. Conversion Rate Optimization (CRO) - It’s not a secret that website’s outlook plays a very important role. In e-Commerce sphere user friendly pages can attract a lot of customers and as a result raise profits. In case your page is hardly accessible or organised improperly Promodo won’t leave you alone. The company will help to fix it with the help of different techniques such as A/B testing or they can select multiple landing pages and optimize them according to your preferences. E-mail Marketing - Promodo allows you to engage new customers and earn more money with simple e-mail distribution. How can the company assist? It’s very simple, they will analyse and structure the current base of clients, create letter templates, optimize and increase the database of contacts. SE Optimization of Your Shopping Cart - It’s not a secret anymore what heights can you achieve with successful online store. But accomplishment of those targets greatly depends on what platform the shop is. Lately in partnership, Cart2Cart and Promodo has performed a webinar which held tons of useful information regarding most popular e-Commerce platforms: SEO pros and cons and migration issues”. There were distinguished the main aspects of SEO power for a few leading platforms such as Magento, BigCommerce, Volusion and Shopify. You can check the results presented in the infographic. Despite all the features Promodo offers flexible pricing and support. So, don’t hesitate and let the professionals take care of your SEO and subscribe for free advice here. Cart2Cart recommends Promodo as a solution for improving your website’s SEO and satisfying your needs.